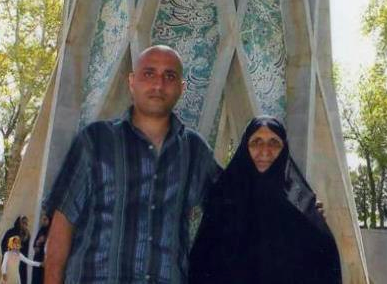 International Campaign for Human Rights in Iran: The Iranian Judiciary should immediately investigate the death of a young blogger, Sattar Beheshti, during interrogations and hold the responsible officials accountable, the International Campaign for Human Rights in Iran said today. Beheshti’s death in custody raises serious concerns about the ongoing ill-treatment of prisoners of conscience in Iran while security and intelligence agents operate in an atmosphere of complete impunity. “Beheshti’s death is certainly due to his circumstances in prison and once again the culture of rampant impunity inside prisons has claimed the life of another innocent victim. It is highly probable he died of injuries sustained due to torture under interrogations,” said Hadi Ghaemi, the Campaign’s spokesperson. Beheshti, a 35 year old blogger, was arrested on October 30 at his home in Tehran. On November 6 authorities contacted his family informing them of his death in custody without further explanation. Persian-language media have described him as a worker who blogged on rights violations. In his last blog postings before his detention, he wrote on Iran’s foreign policy in Lebanon as well as the hunger strike of Nasrin Soutoudeh, the prominent human rights defender held at Evin Prison and the winner of this year’s Sakharov Prize by the European Parliament. “On October 30 plain-clothes agents raided our home and detained him. They did not produce any summons or charges against him. When my mother asked them to show a detention order, the agent pulled out his gun and pointed to it,” Beheshti’s sister, Fatemeh Beheshti, told the overseas broadcast program of Voice of America’s Persian-language service. The opposition website, Kaleme.com, has alleged that interrogators severely beat and tortured Beheshti during interrogations, leading to his death. It based its claims on reports from political prisoners held at Evin Prison’s Ward 350, where Beheshti was taken after his detention. “Today [the authorities] contacted my husband and asked him to go over to them. They told him he died of illness. My husband told them he was healthy and asked for cause of death. They told him ‘Shut up, here we only talk and ask you questions. Go coordinate with Kahrizak Mortuary and obtain a plot for his burial’,” Fatemeh Beheshti told VOA Persian. Since Fatemeh Beheshti’s interviews with the media on November 6, it has not been possible to contact the family despite repeated attempts by the Campaign. The Campaign believes the family is under orders by the authorities to keep silent and might be in danger for speaking out regarding his death in custody. “It is quite conceivable that the interrogators were angered by Beheshti’s attempt to seek redress, and punished him so severely that it led to his death,” Ghaemi said. Iranian prisoners of conscience suffer routine torture, ill-treatment, and denial of medical and basic rights. The UN Special Rapporteur on the situation of human rights in Iran, Ahmed Shaheed, highlighted a “culture of impunity” within the Iranian judiciary in his latest report released on October 11, 2012. In its June 2011 report, “Deaths in Prison: No One Held Accountable,” the Campaign documented the deaths of 17 political prisoners inside Iran’s prisons since 2003;no investigations have ever been launched into these deaths and no one has been held accountable. “The international community must focus on the dire situation of political prisoners in Iran. It is literally a matter of life and death,” Ghaemi said. Has he condemon this particular event or at least sympathize , No, the answer is! or any other opposition group! No, the answer is. Wake up, doste aziz, I was 4 years old when the revolution happened. it has happened, for any reason it has happened. It is the time to learn from past and move forward that is what we are lacking in our minds. The shia terror entity is a parasite that can't exist unless it feeds off the blood of Iranians. To hell with this gang of murderers. Irans opposition Leaders are in Iran today and their king will join them to engage in their victory. There would be no Sattar or Neda or any other innocent Iranian life or millions of Iraq war dead and wounded had the people not been so unwise in 1979 and betrayed their King and Country. Rest In Peace Sattar Beheshti. reza Pahlavi and the rest of oppositions! I wonder where is Mr. reza Pahlavi and the rest of oppositions! perhaps, on holidays! British and USA foregin office have condemned such an barberian act against a young Iranian blogger and the rest of the opposition are too busy playing B..S who will be the next leader or who will do what!! Does it worth to listen to such B.S. oppositions! you be the judge! RIP Satar. کشته شده بررسی کنند. جسد ستار بهشتی ۱۷ آبان به خانواده‌اش تحويل داده شد. سحام نيوز: يک منبع نزديک به خانواده ستاربهشتی وب لاگ نويسی که ۱۶ آبان به خانواده اش گفته شد او در بازداشتگاه جان خود را ازدست داده است به کمپين بين المللی حقوق بشر در ايران گفته که خانواده اين وبلاگ نويس تهديد شده اند که در صورت صحبت کردن با رسانه ها دستگير می شوند. او به کمپين گفت که اعضای خانواده اين وبلاگ نويس به صورت غيررسمی در حبس خانگی به سر می برند. In the past 34 years, Messianic Islamist Rapists, “reformers” and all have proven to be barbarians. The only way to end this nightmare is regime change.